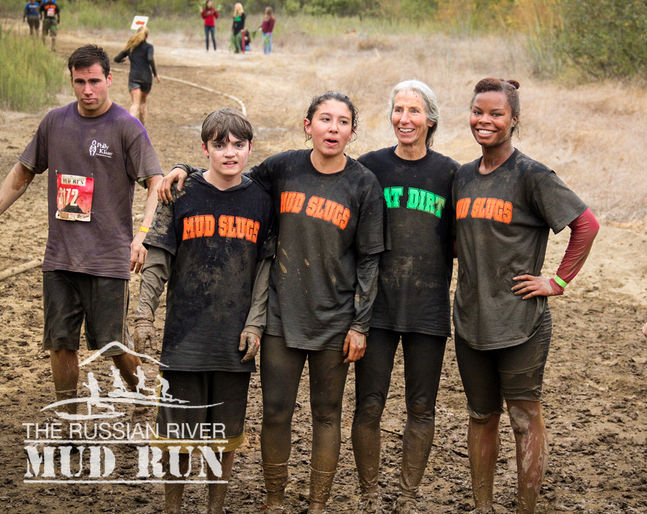 Andre Simon slid 200 feet down a hillside, landed in a large, cold, muddy pool and emerged with a broad smile on his face. 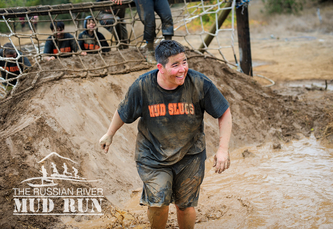 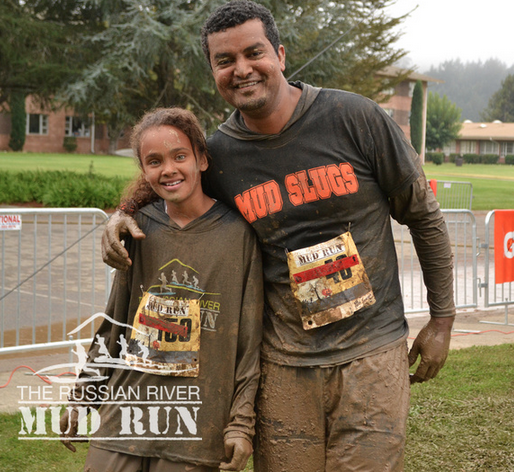 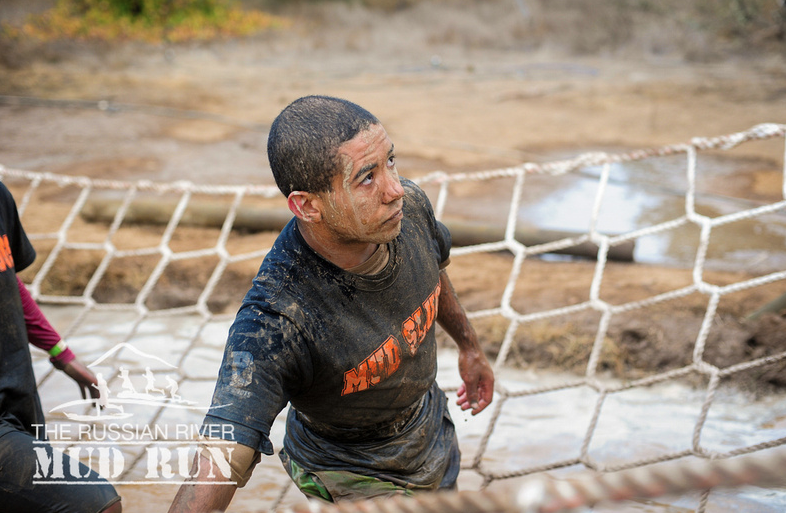 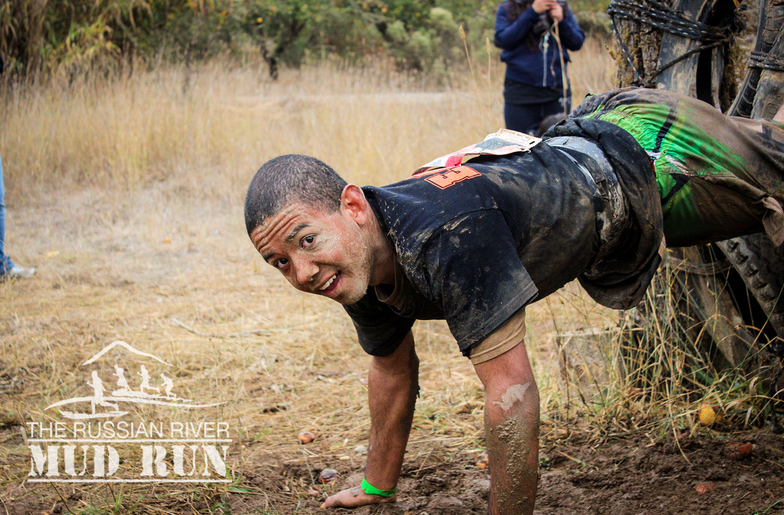 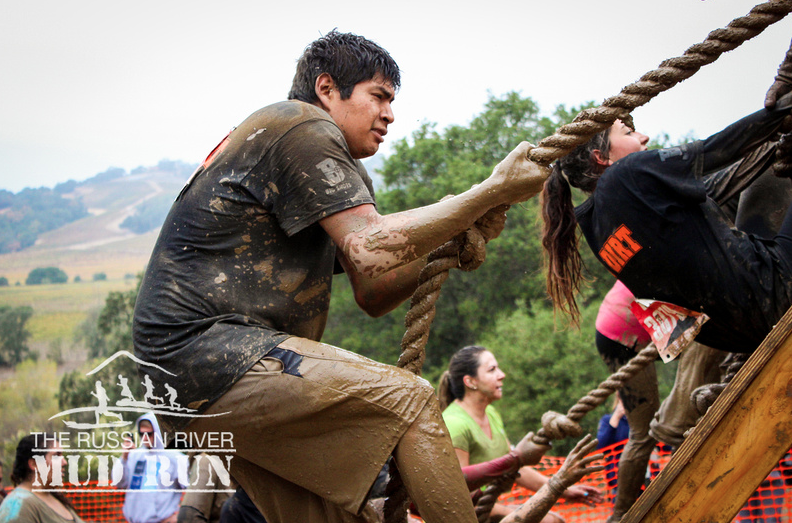 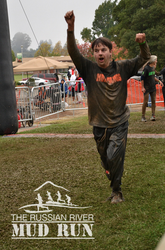 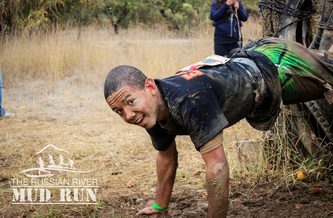 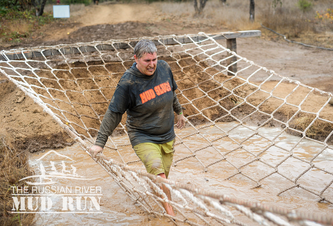 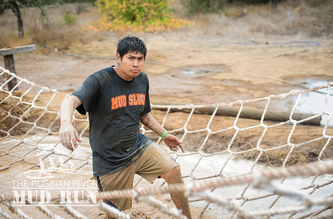 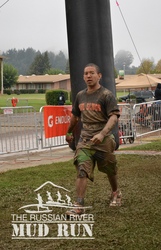 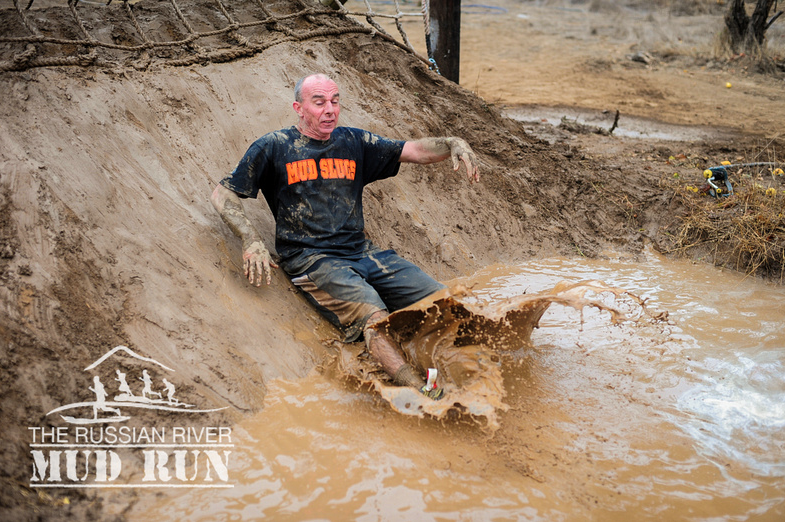 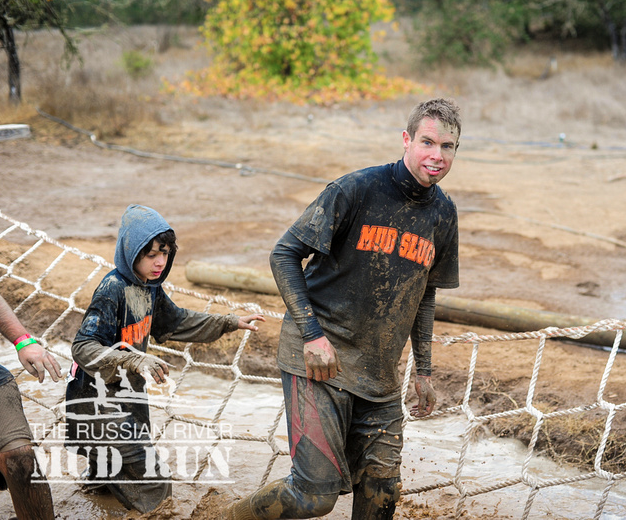 Simon, a 35-year-old behavioral specialist from Sacramento, was one of 1,500 hardy souls who participated Sunday morning in the Russian River Mud Run. 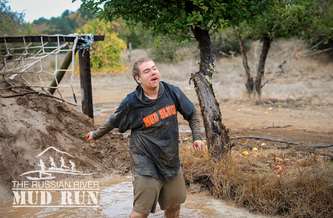 Another 700 to 800 people showed up to watch and cheer. 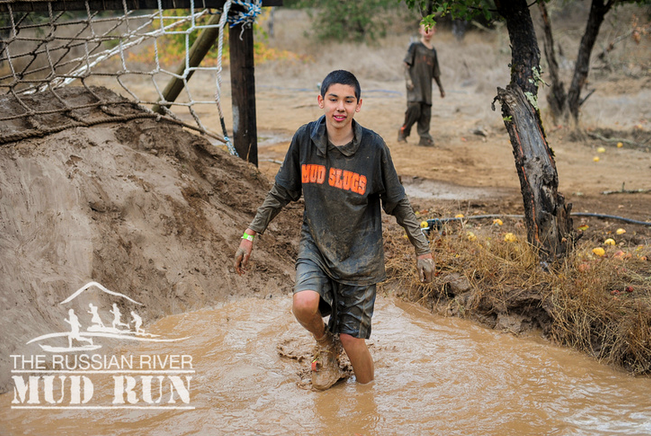 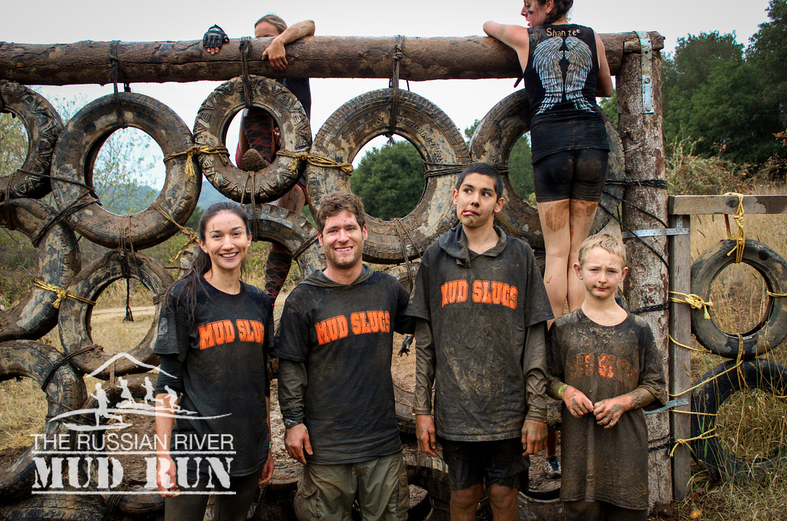 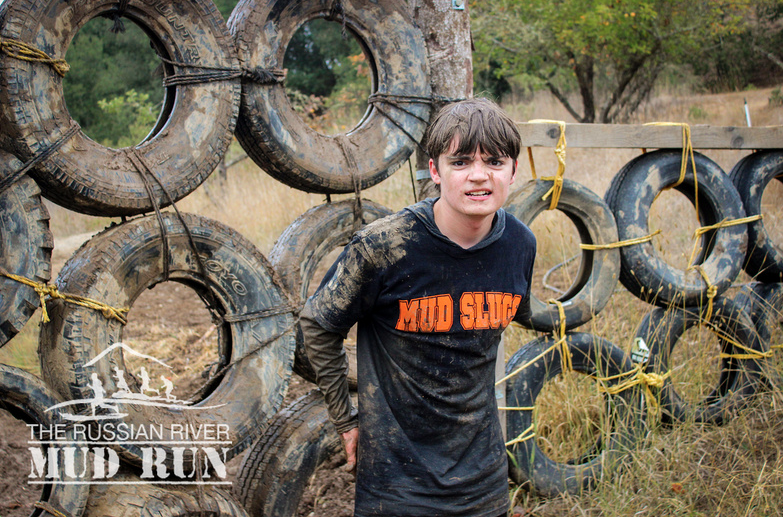 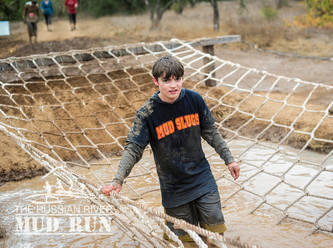 Under a gray, overcast sky, with temperatures in the low 40s, runners ranging in age from 8 to 73 traveled an obstacle course along the banks of the Russian River and across the 365-acre Rio Lindo Adventist Academy in Healdsburg. 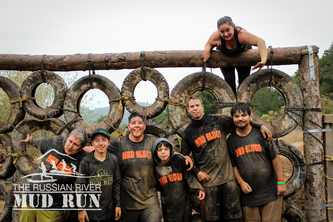 Runners climbed a steep hill dubbed the “Stairway to Heaven,” paved with truck tires. 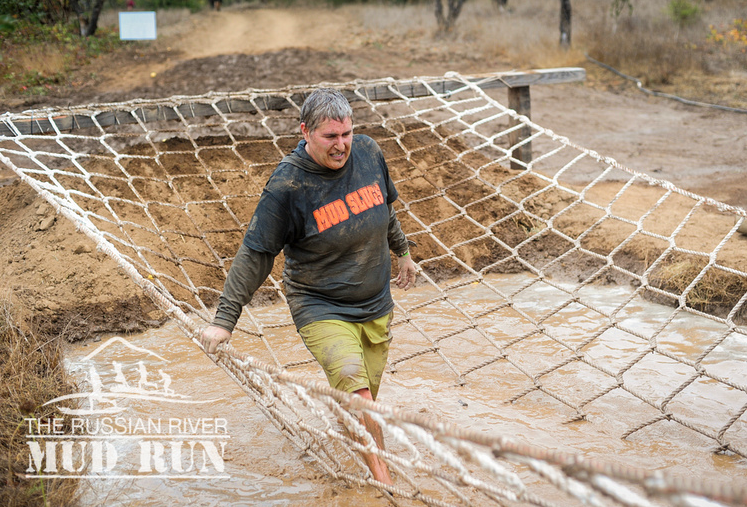 They slogged across the river at a shallow point, and ducked under and leaped over barriers on another stretch of the course. 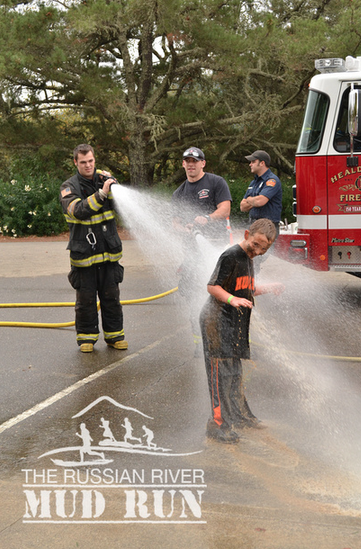 At the finish line, firefighters from the Healdsburg Fire Department hosed down the muddy runners, who were served a free hot pancake breakfast. 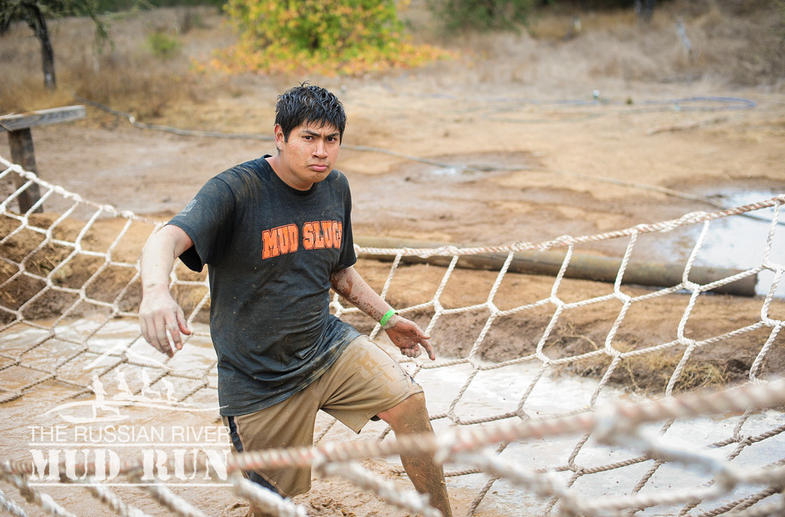 Medics were stationed along the way, but aside from a sprained ankle and a few back spasms, there were no injuries reported. 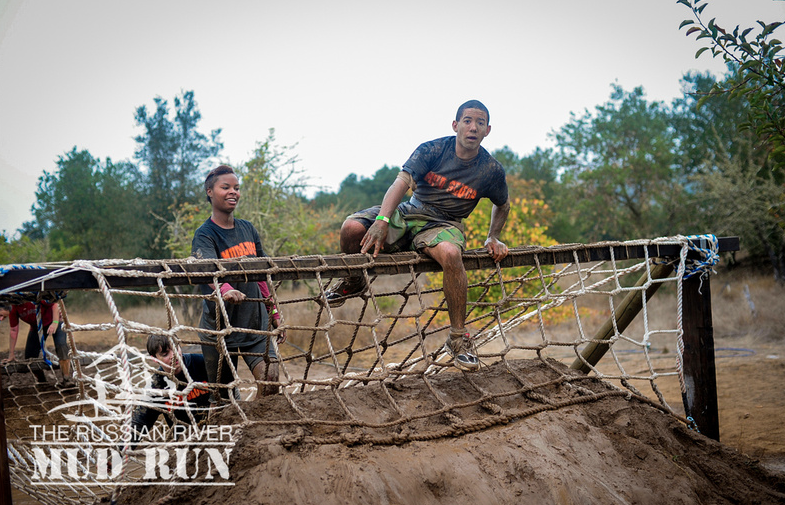 While organizers noted the fastest times, the race was more about family fun than competition and looked more like boot camp than the Olympics. 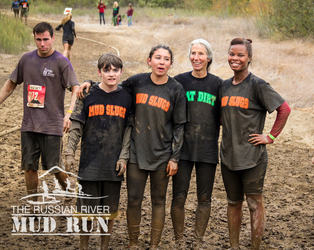 “As long as we all cross the finish line together, we win,” said Kelly Ferris, 38, who organized a 10-member team from Comstock Wines, a new winery starting up in the Dry Creek Valley. 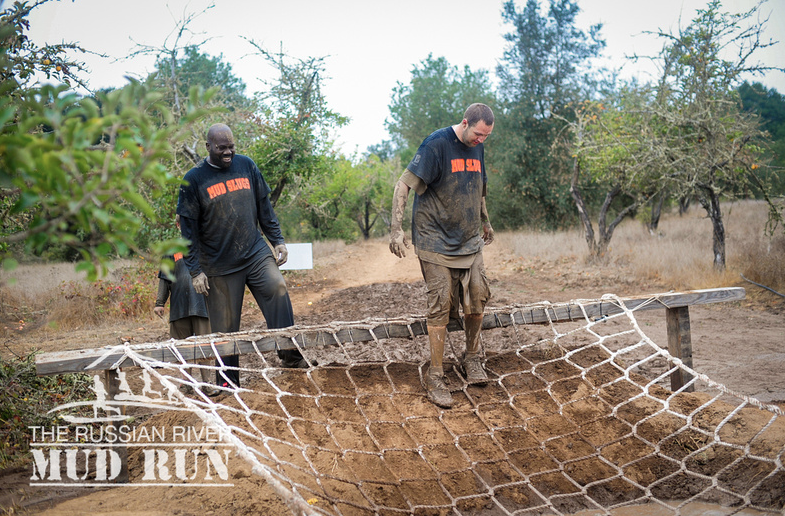 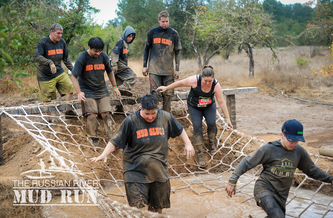 Most of the runners entered as a part of a group with either family members or co-workers, or both, said Orhan Sarabi of True Grit Running, the Santa Rosa-based event promotion company that put on the Mud Run. 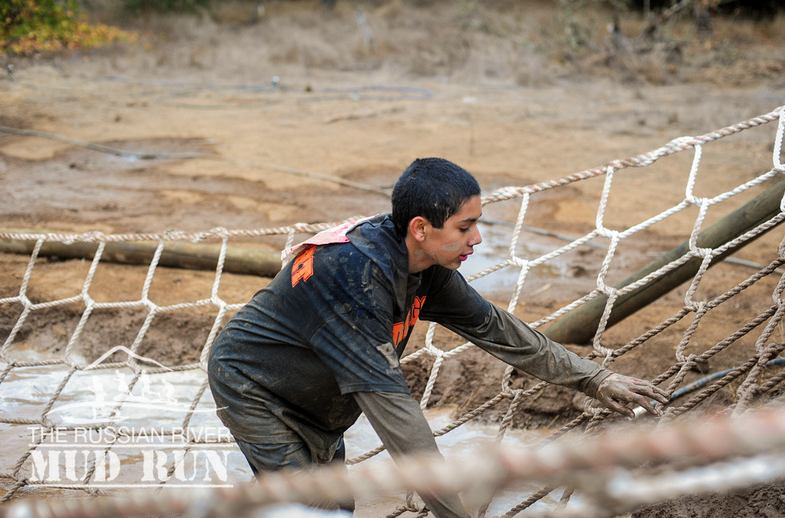 Simon, who grew up in the balmy climate of Trinidad and Tobago, turned out to run in the cold mud with a 17-year-old boy from Greenacre Homes, a vocational school and transitional program for boys and young men. 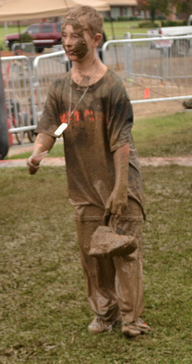 “He talked me into it,” Simon said with a grin. 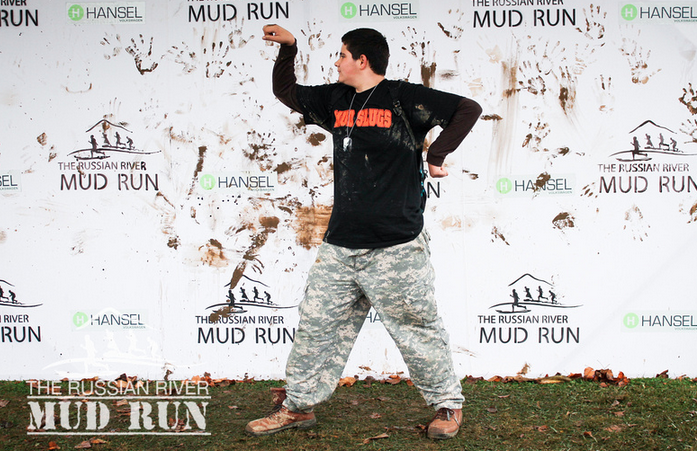 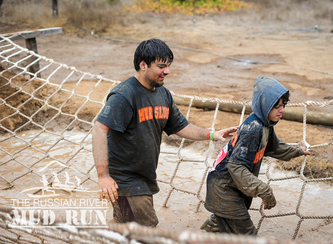 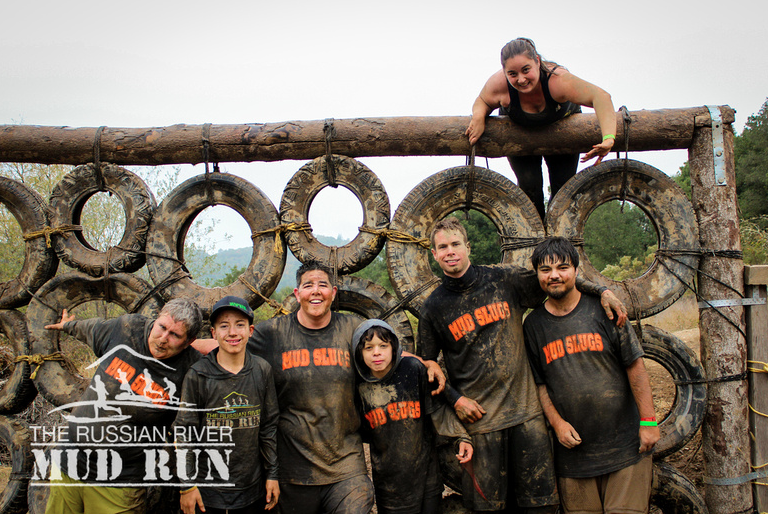 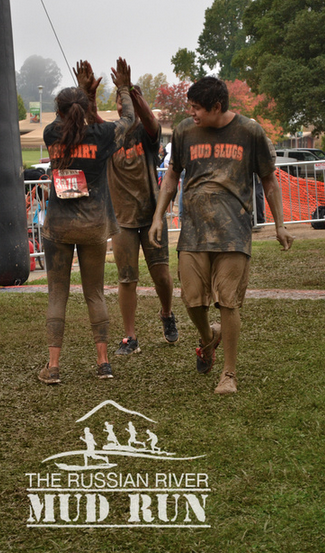 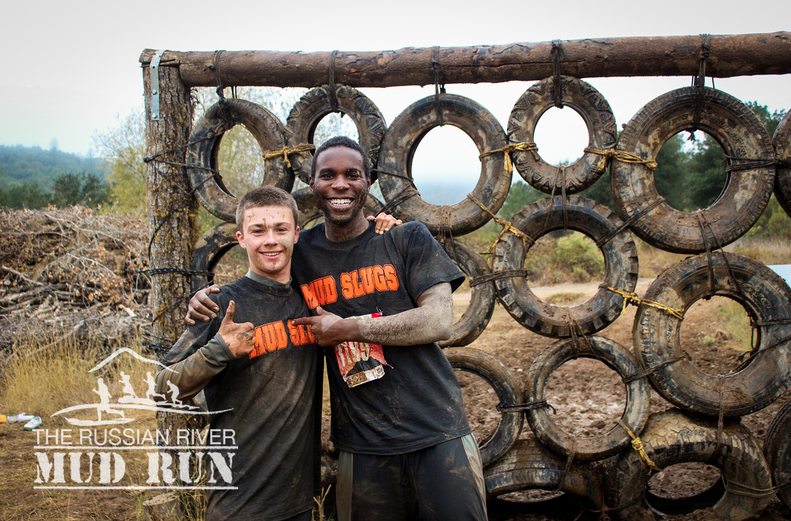 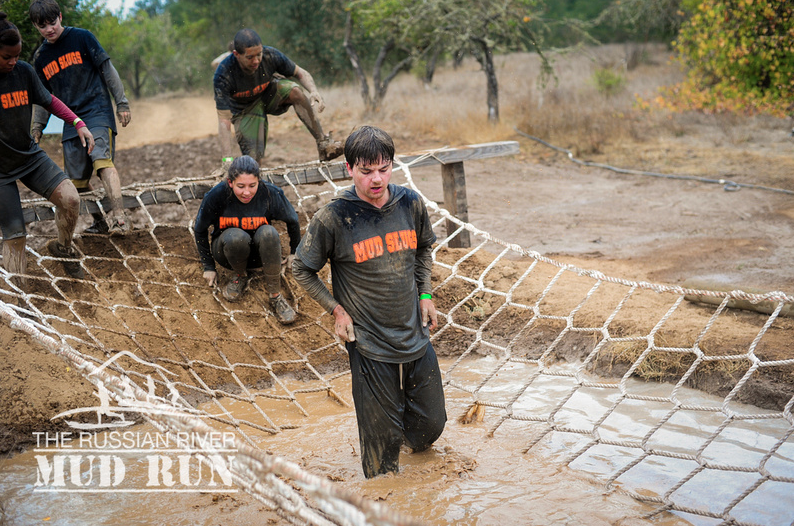 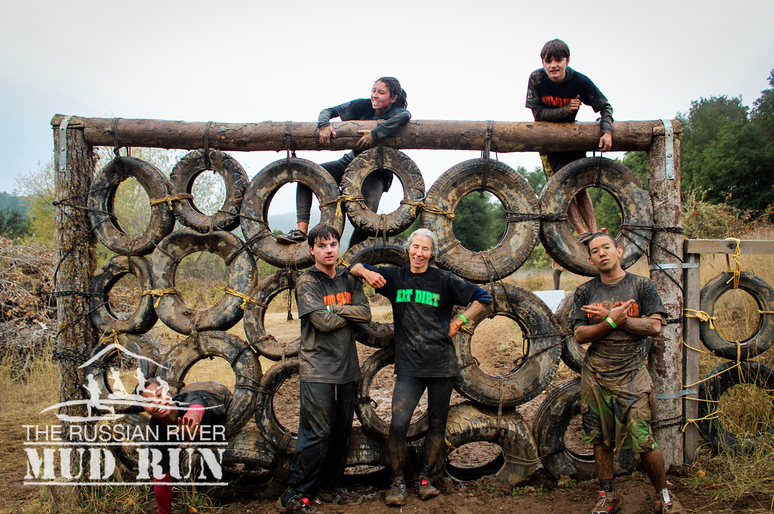 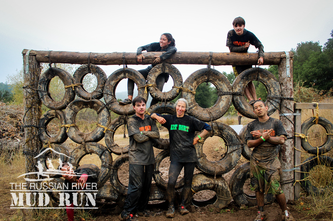 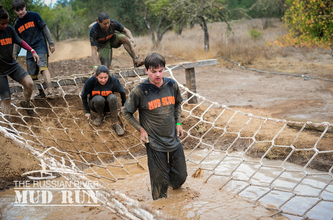 The pair ran together last May in the Mud Run, which was first held in October last year. “We'll keep doing this event as long as we can put it together,” said Steve Martin, community services director for Rio Lindo Adventist Academy.